Stunning collection brought to you by Beach So Chic. High quality temporary transfer tattoos in henna inspired designs. 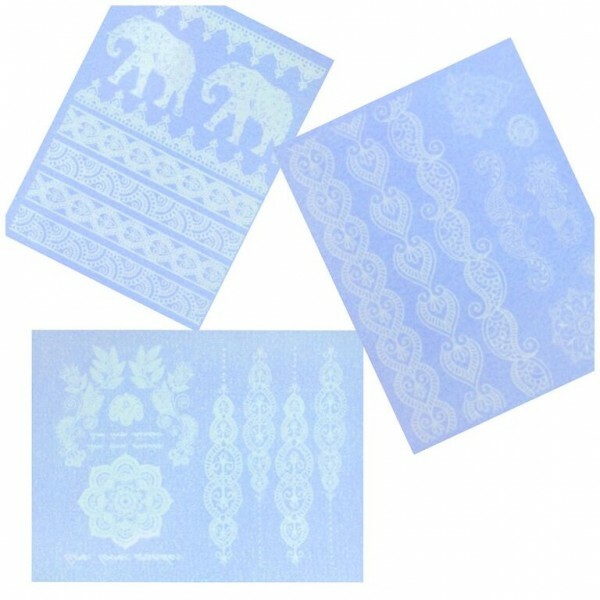 The Chic As Ice collection brings you 3 sheets of white tattoos including henna and jewellery inspired designs for you to mix and match in your own unique way. Get as creative as you like with the different variations you can achieve with this collection. *Includes 3 packs of white tattoos for yourself or to share with a friend. Free Postage on all White tattoos Stunning collection brought to you by Beach So Chi..